The Travellers is a tale of adventure, friendship, and courage set against the backdrop of time travel. This series explores the idea that there really is a curse related to our modern world that has put most of us to sleep. A sleep so deep, that only acts of great courage and love can awaken us. We will see that this awakening is only the start. For the forces that cursed us with the sleep, fear those that are awake and seek to destroy them. In Book 1, young Sasha, the son of a prominent Russian oligarch, is to spend his summer vacation at his mother’s castle, a proposition the Russian boy is not looking forward to. Yet his fears of spending a long, boring summer alone with his security detail and the castle staff are quickly snuffed out when his parents are murdered. Sasha’s world is turned upside down and the summer holidays soon become a life and death adventure filled with surprises, new friends with impressive talents and old enemies that seemingly can’t be defeated. The only way forward for Sasha and his terrifying new friend is in the distant past, where they must hide from their formidable foes. In this, the second book of The Travellers, we follow Sasha and Aurora back in time to Britain just before the Roman invasion in 43 AD. Meanwhile, in modern times, Milla confronts her destroyer and her greatest fears. Mikhail and Elspeth have to escape to a hideaway. In Book 3, after many trials, the conflict, in Britannia, between Sasha and Artaos is eventually resolved and Vespasian “wins” the war for the Emperor. The first step of the prophesy that he will become Emperor has been taken. We find Milla and Georgi in the Kingdom of Jerusalem in about 1120. In this time, Georgi is Gondomer, a Spanish Knight. Gondomer is an historical person who was one of the 9 founders of the Templars. To allow herself to be with Georgi, Milla is pretending to be his male squire, Ludo. They have escaped the clutches of Fr Huw Payne in modern times, but, his old persona, Hugues des Payens, is in these times, and is the Grand Master of the Templars. With all Hugues des Payens’ powers, Milla and Georgi will have to be very careful. Shortly after they arrive, King Baldwin II is kidnapped and is imprisoned far away in Armenia. His kidnapping and the daring rescue attempt are a central part of Book 3. These extraordinary events are based loosely on what actually happened. In the present time, Carmen Francis, “Termie”, is on a mission to penetrate the Master’s organization. As a test, the Master sends her on a dangerous mission that will ultimately take her to Jerusalem. Fortunately she has a new ally. In Book 3, the last book in Series I, Jerusalem is an important new location where most of the separated characters will eventually converge both in time and place in future books in the series. In all, I plan a total of nine books. Rooted in historical truth, they explore a magic that may not be purely fantasy. At the heart of the books is the question, has civilization, as we know it dulled powers that humans still latently have that only need to be awakened? They also explore a culture that is deeply personal that we have also lost. They ask the second question can we recreate a personal culture where what we do defines us, where our word is our bond and where friendship and honour are at the core of all we do? Just over a 100 years ago, generals were faced with the same kind of problem that modern leaders have today. They had been shaped by an era that made them ill equipped to understand and apply the new technology of their time. But, on Easter morning in 1917, an army made up of amateurs, who were not bound by the old ideas, won the battle of Vimy Ridge and showed how the new technology could be used. This short book is the story of what the Canadians did to solve this problem. The lessons that they learned apply to all who wish to lead our organizations into the network age. The book is a practical manual for cultural change paid for in blood and so has great rigour. It is also a human story about an English aristocrat, a real estate salesman and a university professor who together changed the way of war and set in motion a process that lead to peace. Or are you bound by chains that you don’t see? These chains might be how you rely on your job to provide an income. They might be how you rely on medicine to keep you well. They might be how you rely on your bank for the credit that keeps you going. Relying on your employer, your doctor and your banker can constrain every part of your life. They can control your time, where you live, how you live and what you fear. You may know this. But what you may not know is that you can work constructively to break free from their grip on you. You can control how you make a living. You can control how you access credit and you can control most of the factors that make you healthy. Based on my own experience of taking back control in these important areas, I have written three short books to help you take control of your life and so become free. I start with the “Job”. 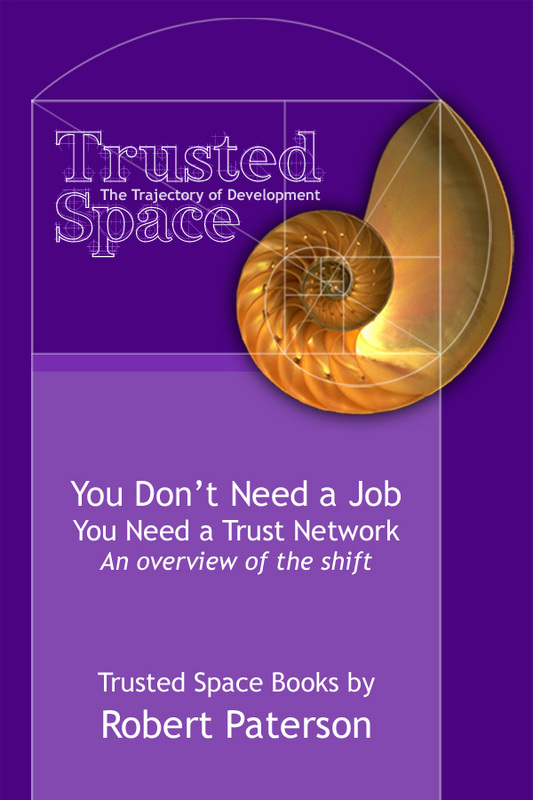 “You Don’t Need a Job” – Link to Store – If we can see the Job for what it is, a construct of a paradigm, then we are no longer trapped. For how we make our living is the starting place for the journey. 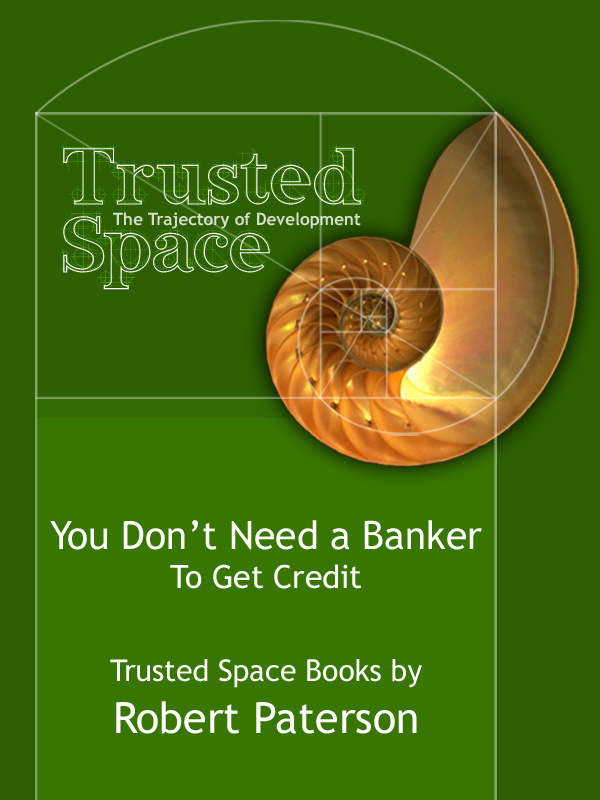 The second book in the series is called “You Don’t Need a Banker” – Link to Store – More than any institution today, Banks seem supreme and essential. But I will show you that to get the credit you need to make a living and to have a good life does not mean that you have to depend on banks as we know them today. The third book is all about health. 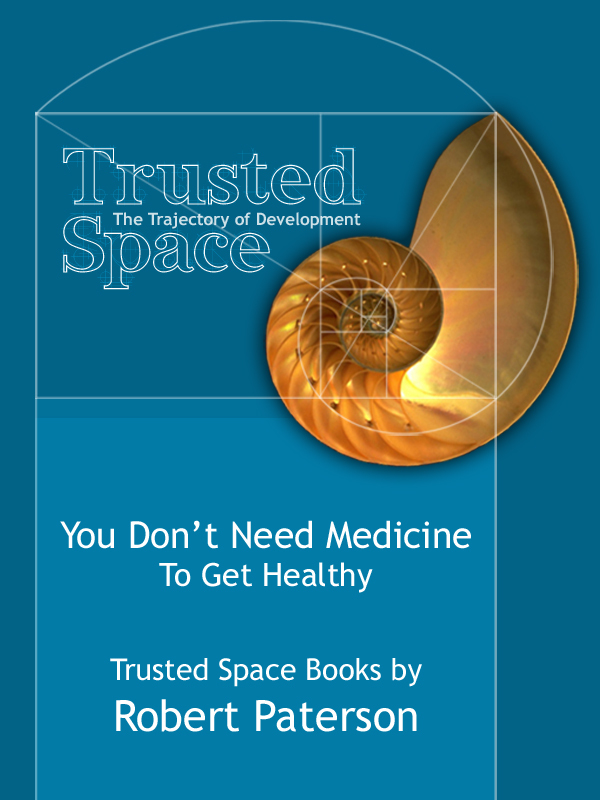 You Don’t Need Medicine to Get Healthy –Link to store . What if our health did not depend on doctors and drugs? This book will explore the new science of Ancestral Health and show you how to take charge of your own health and well being. When you are no longer reliant on these modern institutions, you can have more control in your life. You can be free. Free in a world where most still are slaves. You can indeed change the world by changing your own self first. We have done this before as this short video will illustrate.